The stage was set. 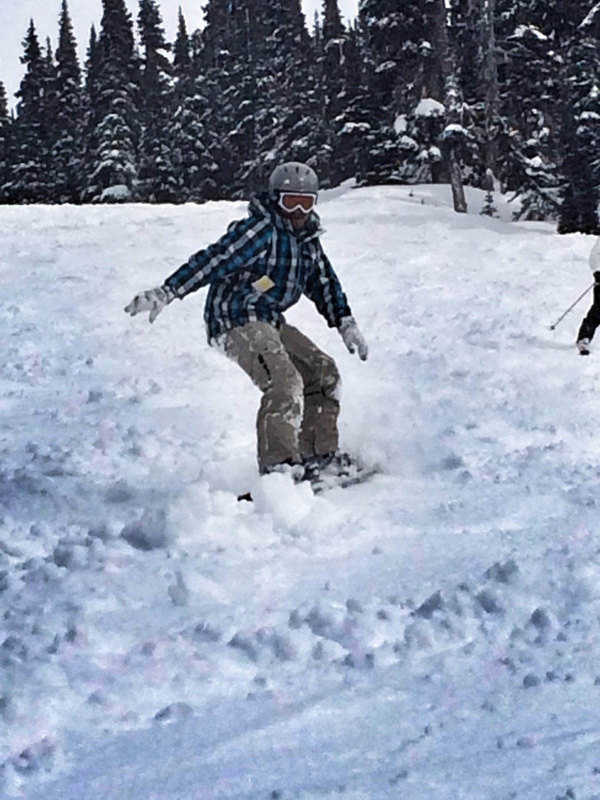 It was me versus Whistler and Blackcomb, two side-by-side mountains that stand tall north of Vancouver in the Canadian ski resort town of Whistler. 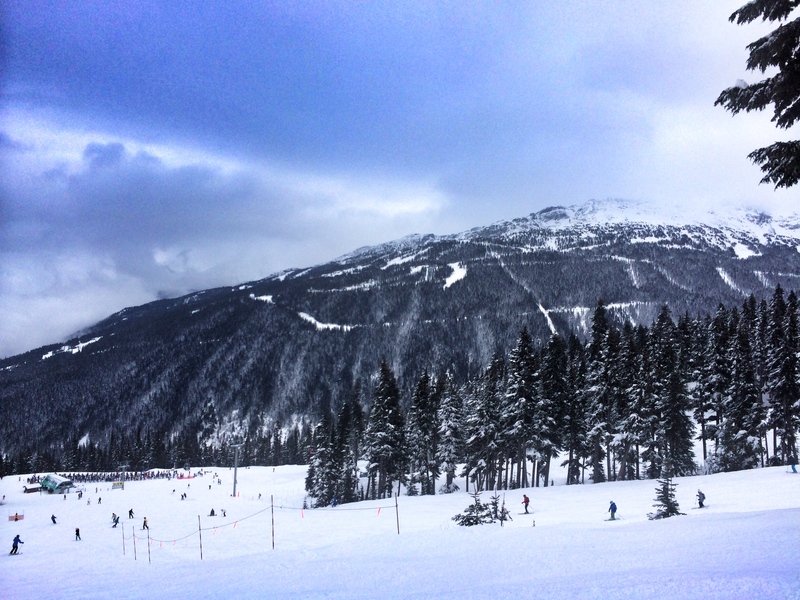 Whistler, along with Blackcomb, is one of the most popular mountains in North America for skiing and snowboarding during the winter. 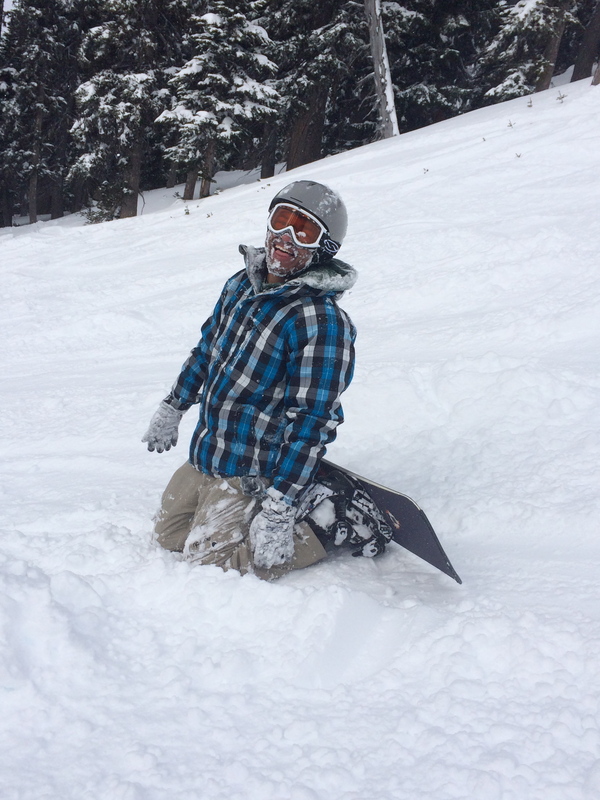 I’ve never been skiing, but I dabbled with snowboarding a couple of times. The most recent was last October in Dubai. Yup, Dubai of all places. They have a great indoor snow slope you should check out if you are ever in the area. It was there that I learned how to handle my own and it was now time to put my rookie abilities to the ultimate test on Whistler Blackcomb! Lana, Katie, and I traveled about an hour and a half north to Whistler where we booked ourselves in a lodge. Whistler is a small, snowy town filled with ski resorts, restaurants, small shops, and lot’s of places to wind down and relax after a long day of snowboarding. We went during President’s Day weekend, which meant the town was packed with American tourists! Even so, this place was great! I’ve never been anywhere quite like it. I could never get enough of the snow-capped backdrops and all those people with their custom snow gear, I just assumed they were all pros and I was the only novice in the neighborhood. The new kid in town. Both Lana and Katie had their own equipment already, but I had to rent mine from a rental shop nearby. 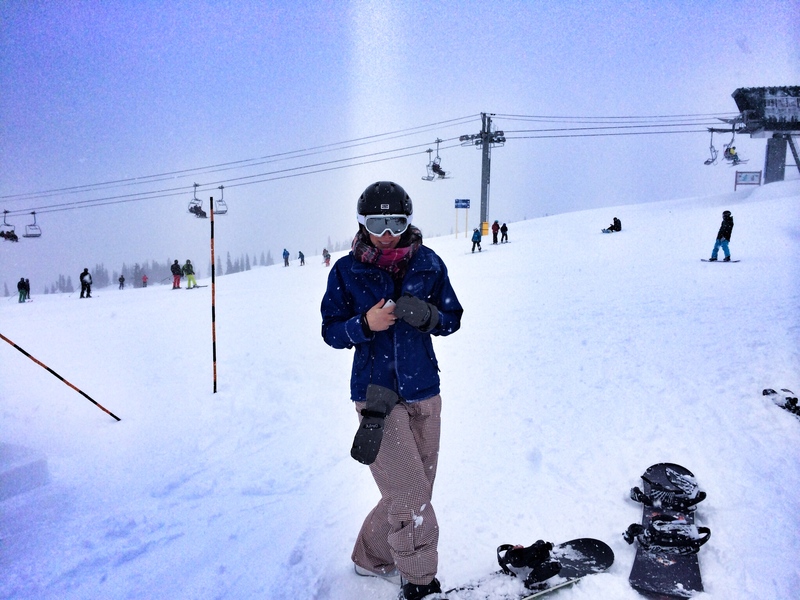 A jacket, goggles, pants, boots, helmet, and my fitted snowboard which became my trusty companion for the next two days. Lana and Katie all geared to go! 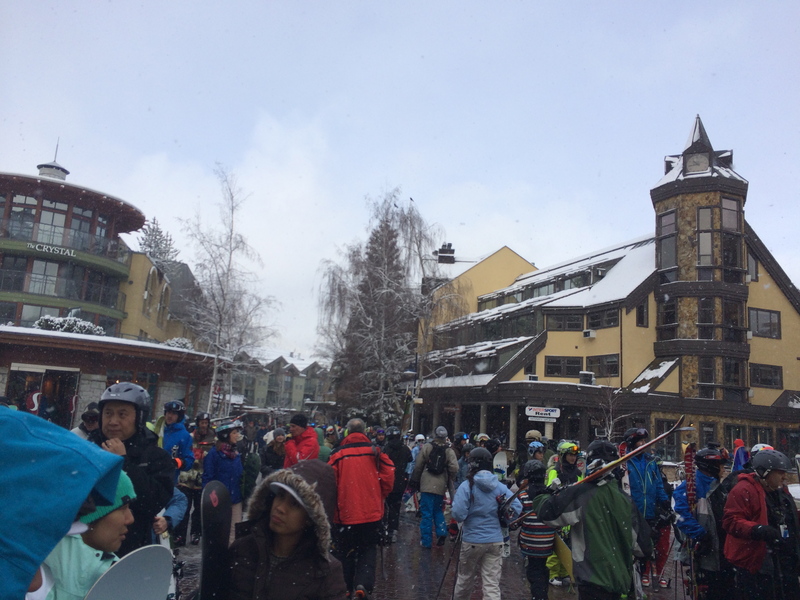 We stood in a long line that led to a ski lift that took us up most of the way of the mountain. Not to the very top, I wasn’t ready for that yet, but a little more than midway up the slope. I was ready for the challenge. 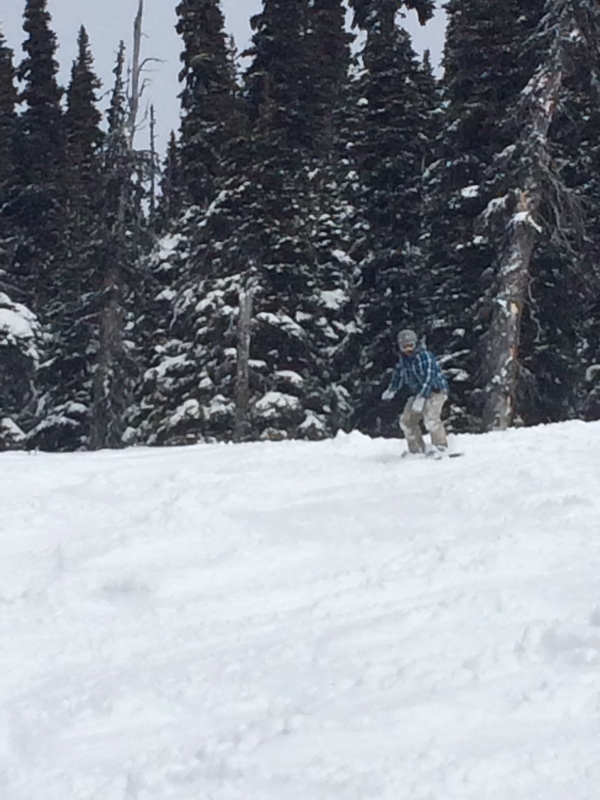 Whistler Mountain was day one! I felt so small in this vast mountain range in all its snowy glory. All the sky scraping pine trees, the cool crisp air, and all that powder; it was picturesque. 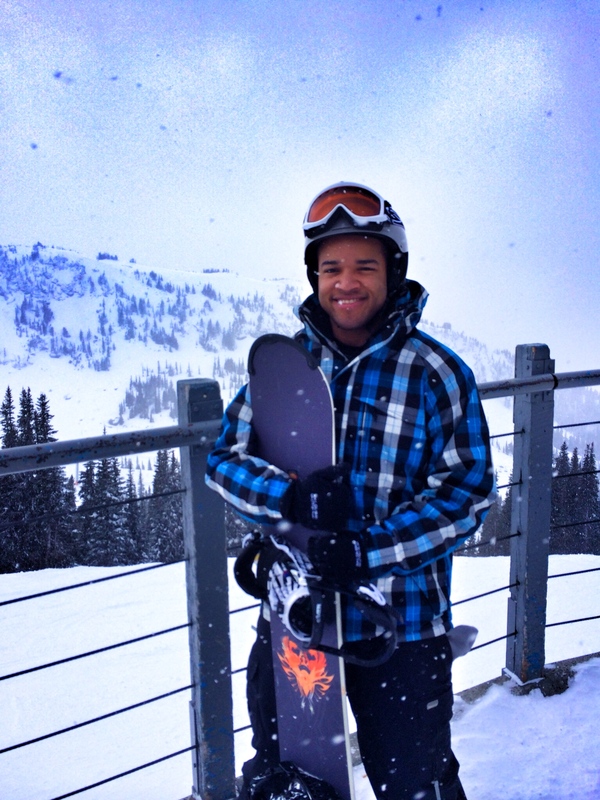 It was all the inspiration I needed to shred this beast as I attempted my way down the mountain in one piece. I had Lana and Katie showing me up, both skilled as they should be, they are Canadian after all. It’s a proven fact that Canada is a country proficient in winter sports. 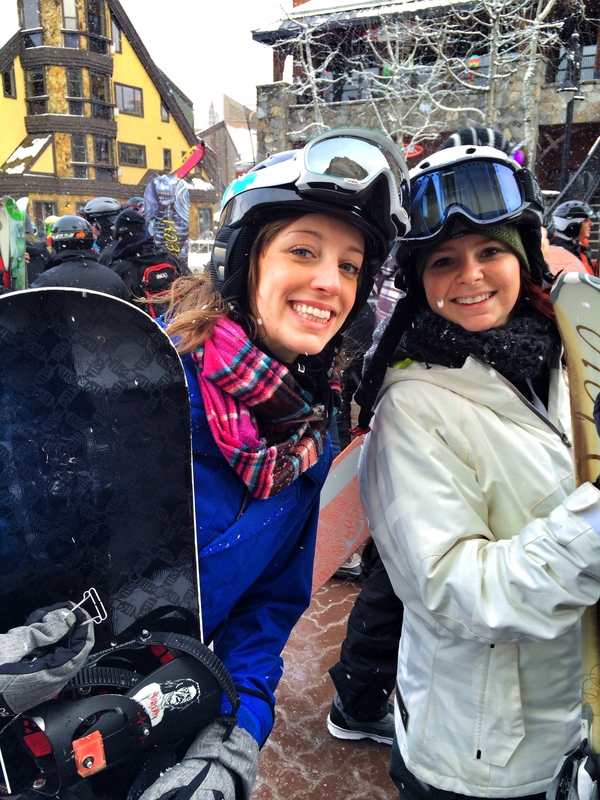 My two northern friends were my only allies on this mountain and were well aware of my lack of snowboarding experience. Even so, I surprised them and myself when I was able to turn and burn down the easier areas of the slopes with relative ease. That’s not to say that I didn’t fall, because I did. I fell, a lot. Right on my face. No pain, no glory. I still had a smile on my face. 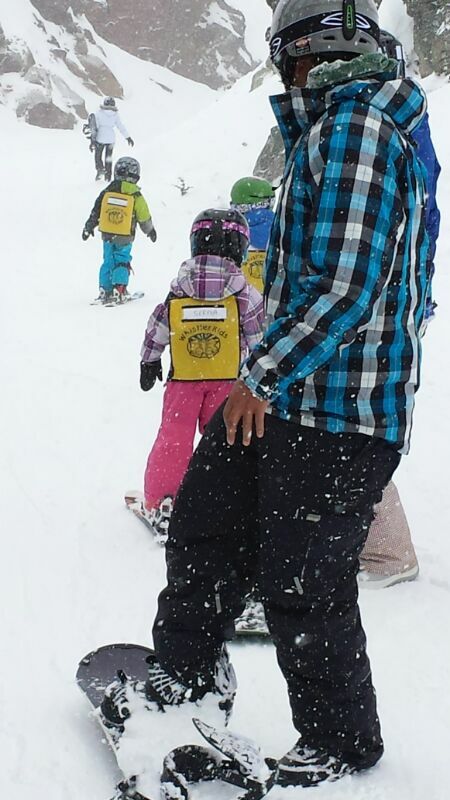 At certain points, there were groups of little kids with a teacher learning how to ski. Maybe I should join these kids to get some pointers? Whenever I saw groups of little kids on the mountain, I made it a point to direct myself waaay away from them and slow down or otherwise I’d collide right into them! How horrible would that have been? We went up and down Whistler mountain for a few hours before we called it a day and headed back to our lodge. 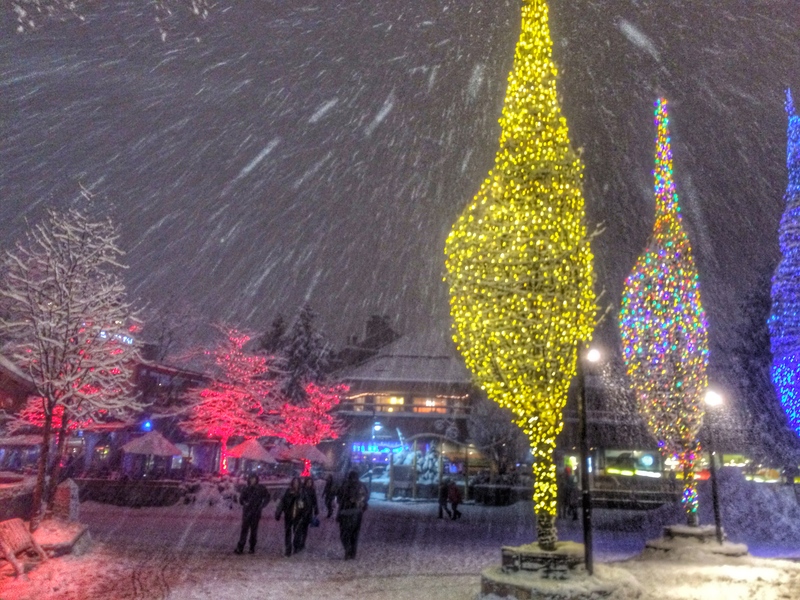 Later that evening, we walked around the resort and found that Whistler transformed into something like a Christmas town. It felt pretty festive! 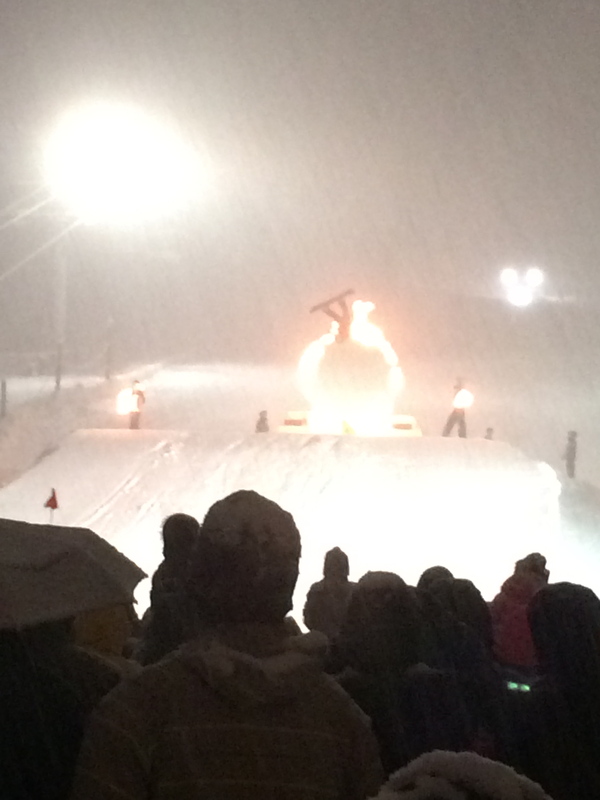 Near the base of the two mountains, they held a special event where professional boarders flipped through a ring of fire as fireworks shot out nearby. I will probably never reach that level of excellence on a board, but it was still amazing to see! 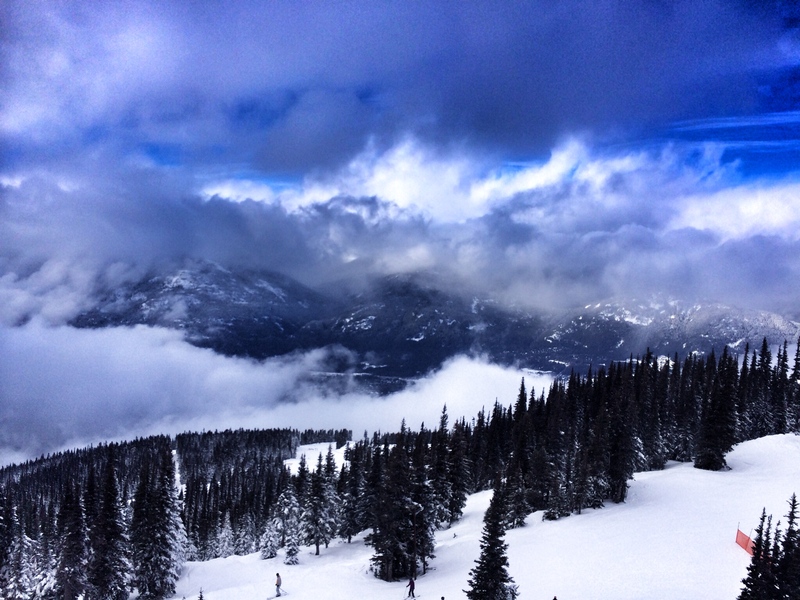 The next day, we decided to tackle Blackcomb mountain. To me, it was more of the same, and that was a good thing. I felt a little more confident after my trials and errors the previous day, so we went higher up the mountain to the more treacherous areas. The snow was constant and we were bound in a flurry of white! It was so sweet! 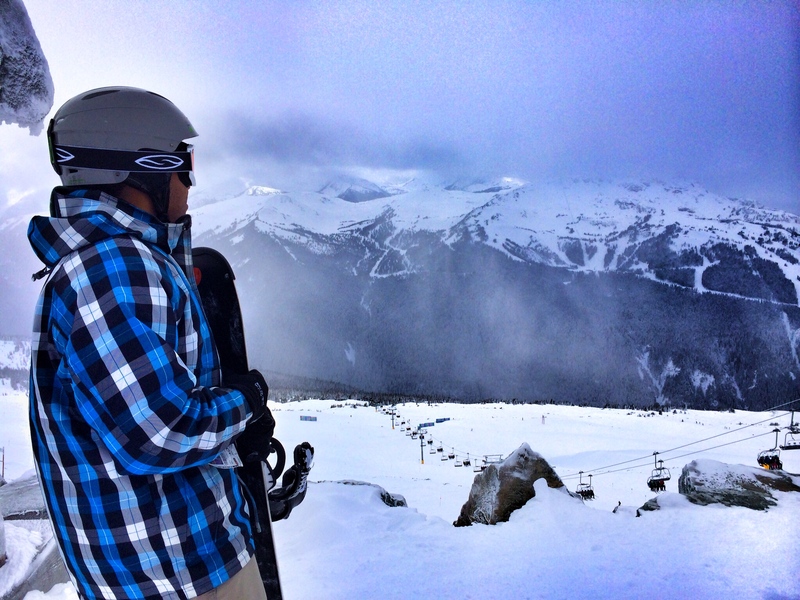 There was a stretch on Blackcomb mountain called Seventh Heaven which was very tricky for me. The more room I have to move, the better for me. Seventh Heaven was a narrow path with a cliff that fell straight down on one side. Turning on my heels is fine but trying to turn on my toes is a whole other story. The path was so narrow, that I was forced to turn on my toes or other wise I’d risk turning right off the cliff! The other boarders going by went so fast, that it made me nervous that I’d get shoved off into Blackcombs wintry doom, but somehow I eventually made it through into much wider passages. I really have to practice turning on my toes sometime. As the hours went by, my board and I were gradually becoming one entity. I was learning more and more how to control it as it became custom to my foot rhythms and tendency to fall. But even when I did wipe-out, it gave me the opportunity to sometimes just sit there in the snow and take in all of the fantastic scenery surrounding me. Later on, we took the PEAK 2 PEAK Gondola from Blackcomb mountain back to Whistler mountain. It was here that we went as high as we felt confident and decided to board all the way down the mountain with no stops in between. It took about 30 minutes or so to get all the way down to the bottom and I made it in one piece but man was my entire body sore as all heck! My neck, my back, my poor legs and ankles. Oh and my wrists! My wrists hurt especially from the 1289301 times I had to lift myself up from the snow. I fell so much! But I got right back up each time. Well maybe not right back every time. Sometimes I just laid there flat on my back from exhaustion. It was great. I have progressed significantly since the day before and was able to keep up with Katie and Lana a majority of the time. Thanks for sticking together guys! What’s a beaver tail? It’s the Canadian version of an elephant ear, cleverly disguised as a beaver’s tail. 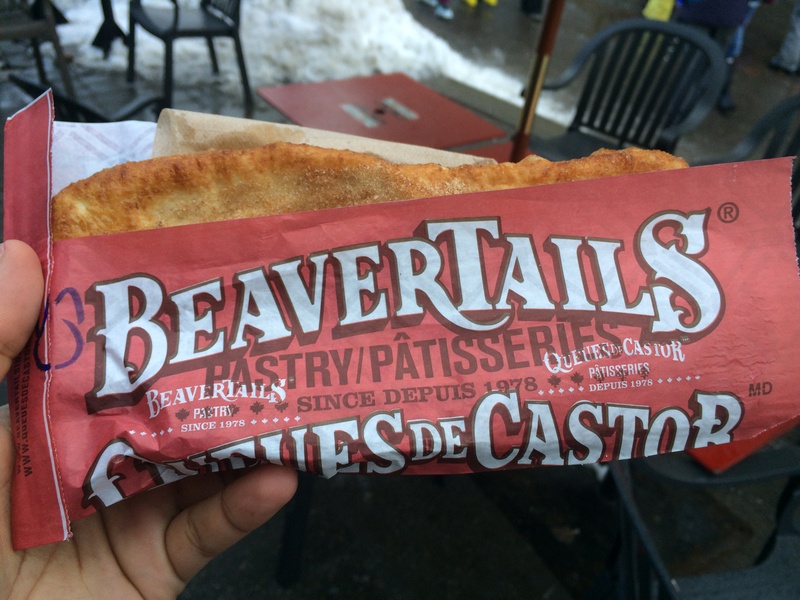 I start to drool at the sounds of sugary sweets and elephant ears…er…beaver tails always do the trick. I’d rank it up there with ice cream and cinnabons for sure! Coming up to Whistler was the pinnacle of my stay in British Columbia and I can’t thank both Lana and Katie enough for their tremendous northern hospitality and fun going spirits. 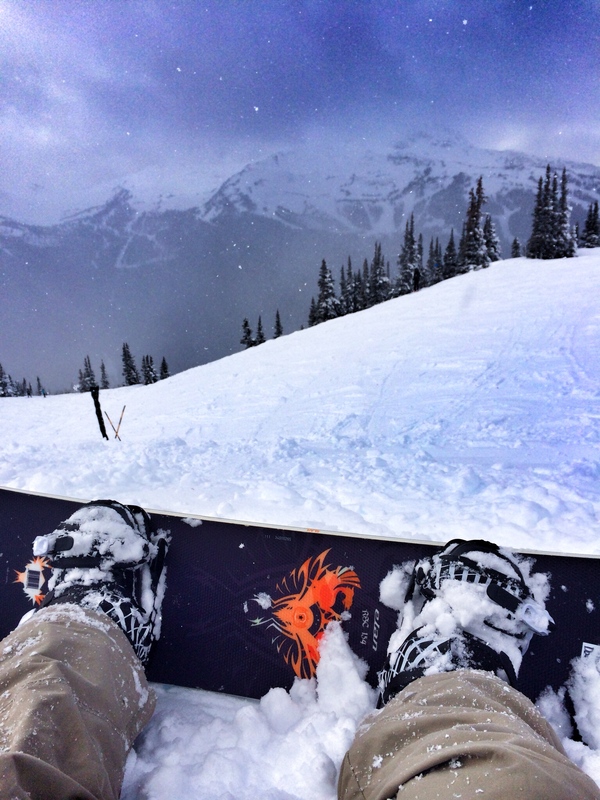 Snowboarding here was the best and I’d love to come back again one day, but not before I get my toe-turning down. I’ll be the one showing you guys up on our next bout! Mark my words! Until we meet again my rafiki’s (friends), Kwa Heri (goodbye) and thanks for everything! 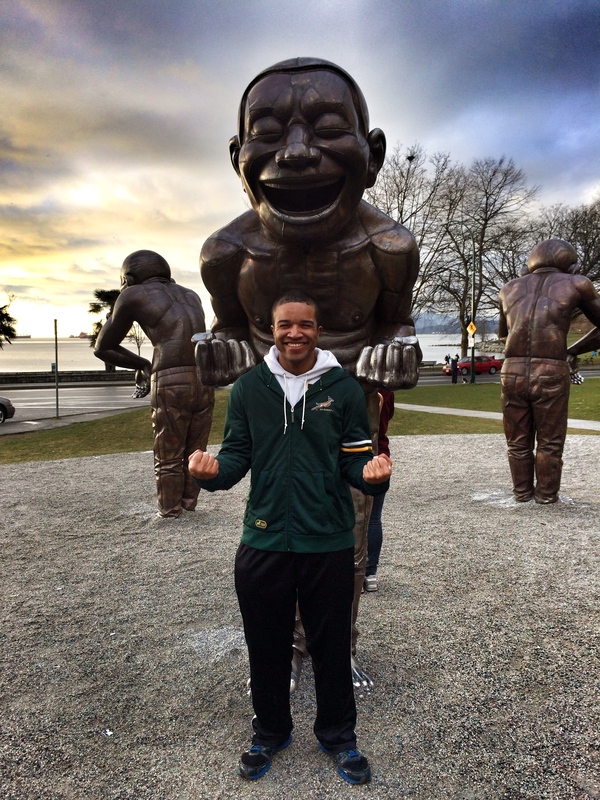 The idea to go to Vancouver has been in the making since last summer. 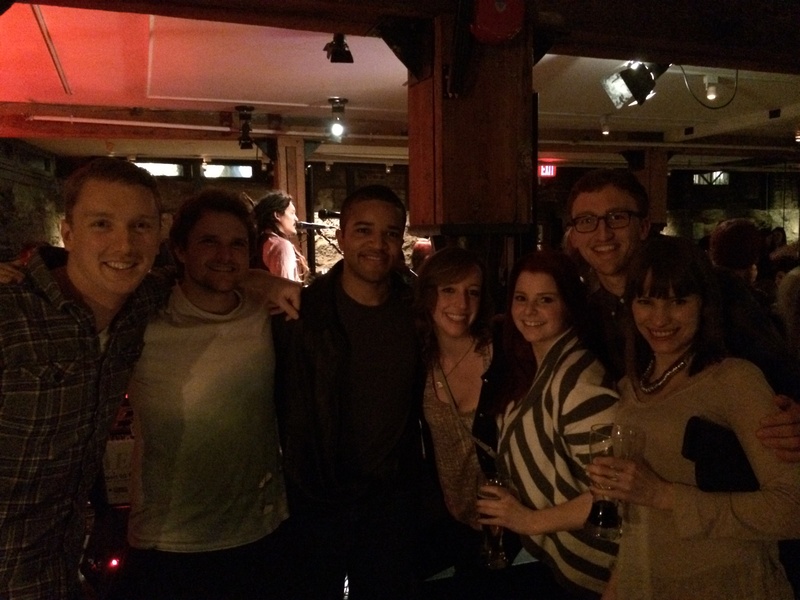 You see, I have many Canadian friends and one of them lives in Vancouver, British Columbia. Her name is Lana. She was part of my team that successfully climbed to the tip-top of Mount Kilimanjaro. Another Canadian friend of mine lives in Edmonton, Alberta. 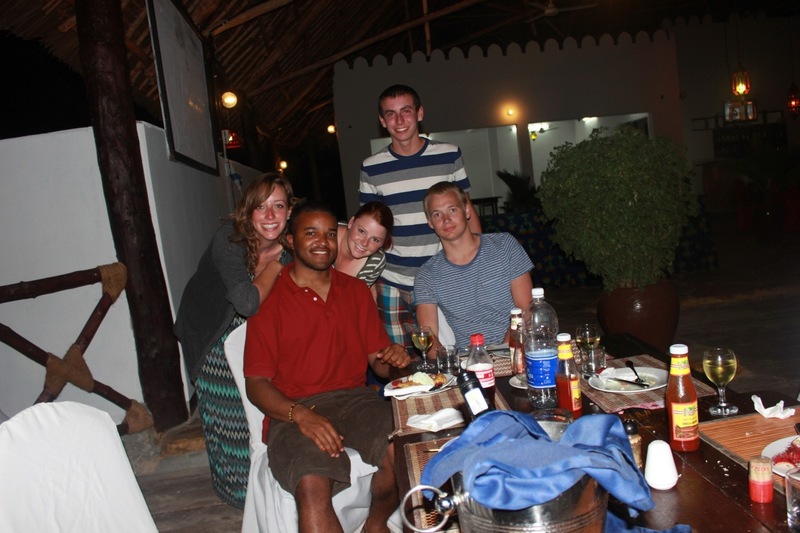 Her name is Katie and she joined Lana, a few others and I on a week-long trip to the tropical island of Zanzibar. The plan was for Katie and I to fly over to Vancouver for a few days in February and hang out for a bit. I haven’t seen Lana nor Katie since Tanzania almost two years ago so I was pretty pumped to see them again. After a long flight from Detroit to Vancouver, I walked through the airport to find them standing with a sign they made for me. 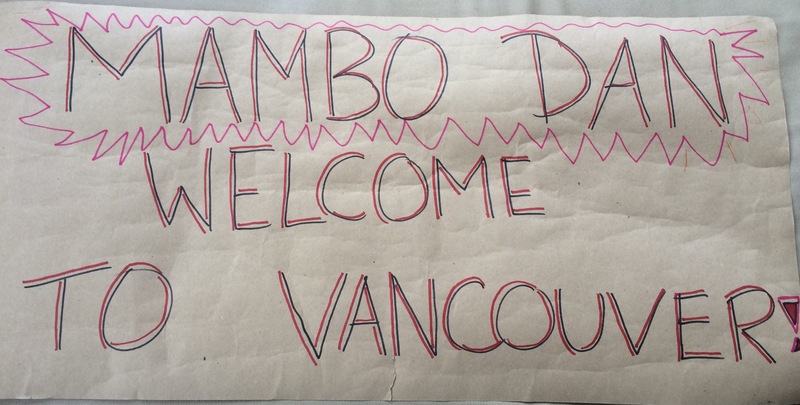 ‘Mambo’ means ‘hello’ in Swahili. How nice! We took a quick train towards downtown Vancouver, where Lana resided. She lives in a pretty cool apartment with her sister who is never home. After getting settled in, I had one thing on my mind. There was something I wanted more than anything at that moment, that only Canada offers best. That something was poutine and Lana knew the place that had the best poutine in town! 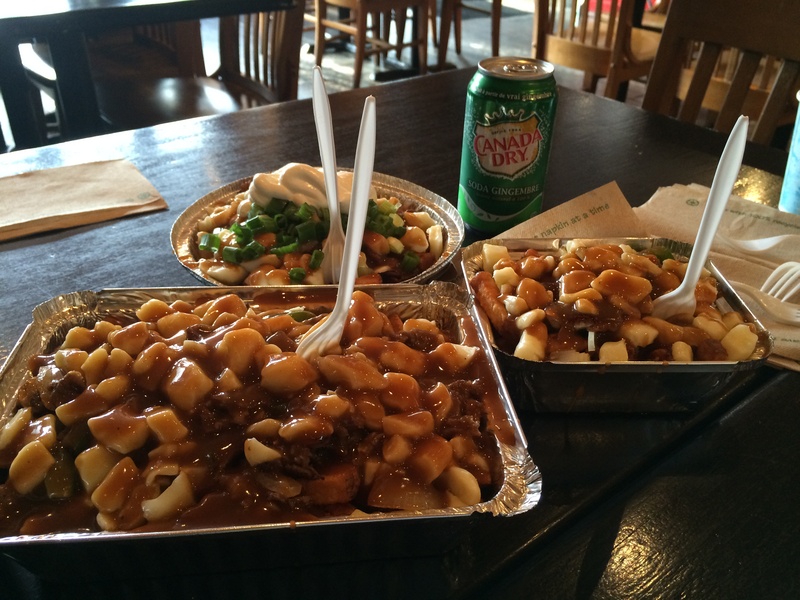 Poutine is a popular Canadian delicacy that isn’t quite suitable for breakfast, lunch, nor dinner. It’s perfect for that time when you’re feeling like a fat kid and just want to satisfy all of your inner cravings. It’s a load of fries smothered and covered with mainly gravy and chunks of cheese curds, then topped with everything else you might like. That big one in the picture above is mine and yes I finished it all! I love me some poutine! You gotta try it! 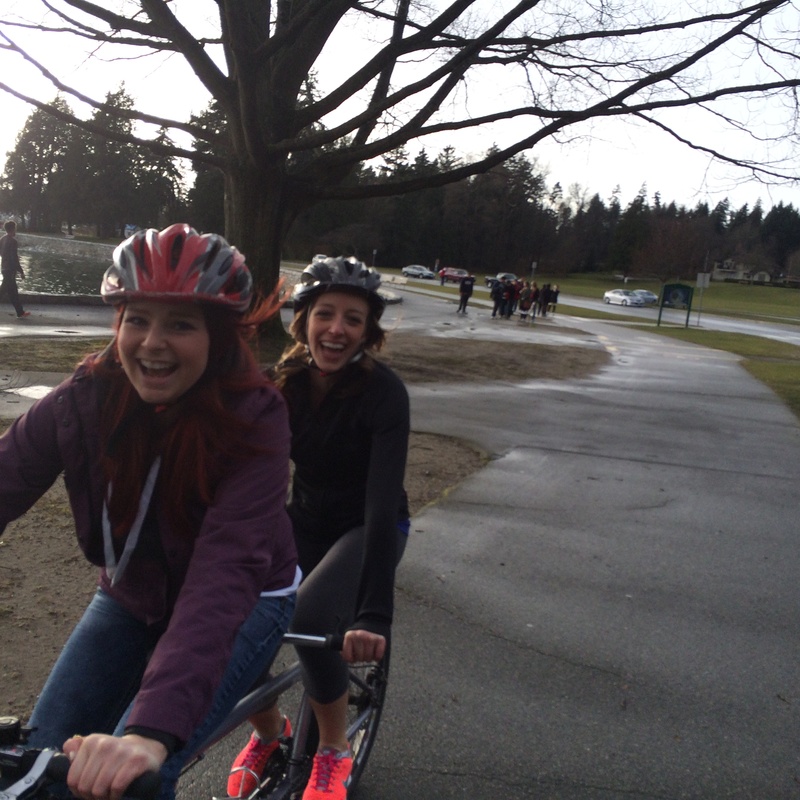 Afterwards, to get a good scope of the city, we rented tandem bikes and rode along the shoreline of downtown. 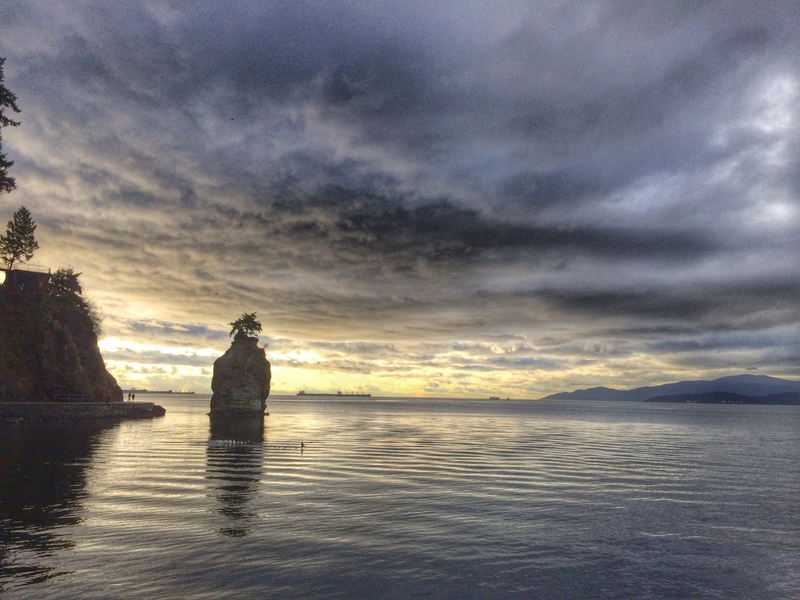 The weather was consistently cloudy and wet, reminiscent of the gloominess of Seattle, but it was still better than the polar vortex that was wreaking havoc on my end of North America where I lived. It started to rain a touch, scattered around the area here and there, but not before we found these cool smiley statues! Afterwards, we returned our bikes and picked up some red wine from around the corner and played the Canadian version of Cards Against Humanity. As of this post I still have never played the American version, but it was similar to how I expected it to be. Pretty ridiculous, but fun! 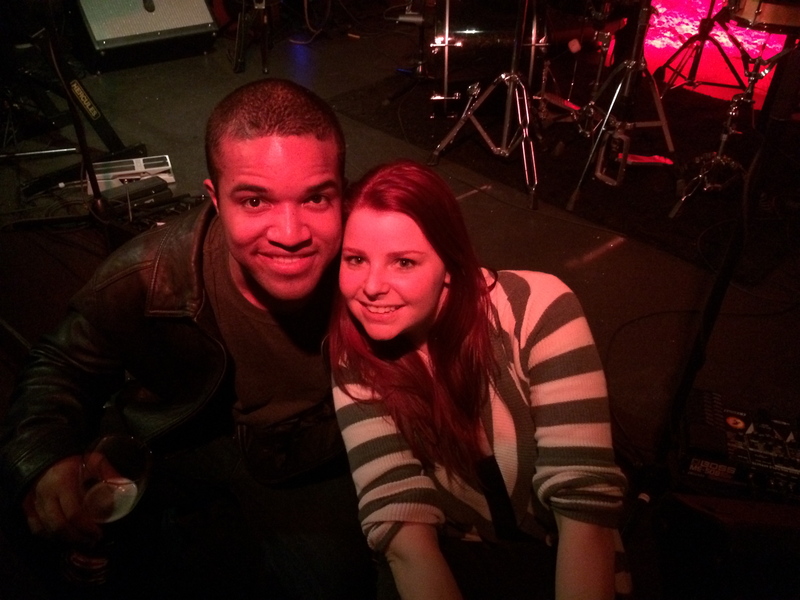 We wanted to meet up with some of Lana’s friends that same night, so we took a cab downtown and popped up at a pub where there were loads of people and a reggae-ish band playing on stage. It was a really great time! Maybe it was too great? Immediately after, one of Lana’s friends took us all into his office building to continue the shenanigans and that’s when I drew a blank. I just remember that at one point, I exited the bathroom facilities and walked into an empty office workplace. Where the heck did everyone go? I took the elevator downstairs thinking everyone went there, but still no one. That’s when I found I couldn’t go back up stairs because I didn’t have an elevator key. We may have gotten a little nuts that night but thankfully, one of Lana’s friends found me trapped downstairs on the first floor of the building. “We found the American!”. I reunited with everyone and graced with some of the best pizza I’ve had in a long time. Turns out everyone went to the roof looking for me, when actually, I was in the bathroom vomiting whatever the heck I was drinking at that pub. I must have been in there for a while! 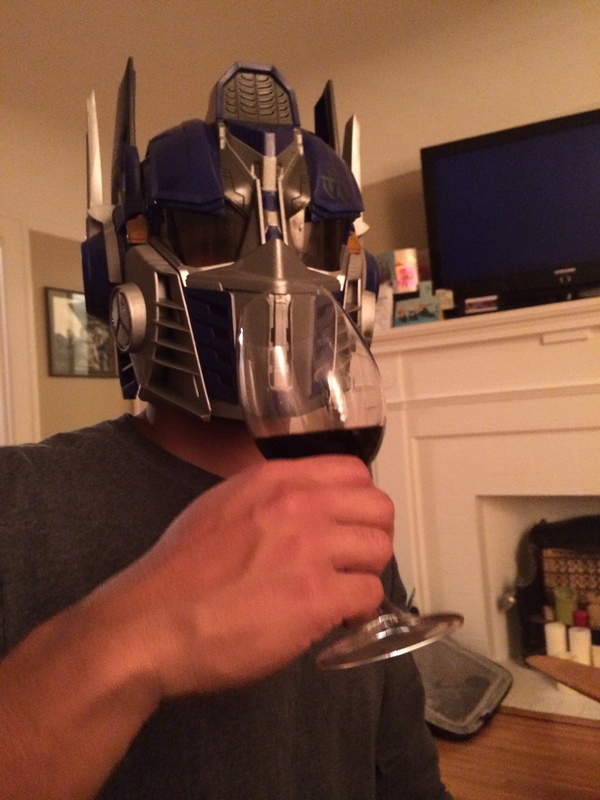 Thankfully, I was surrounded with good company. 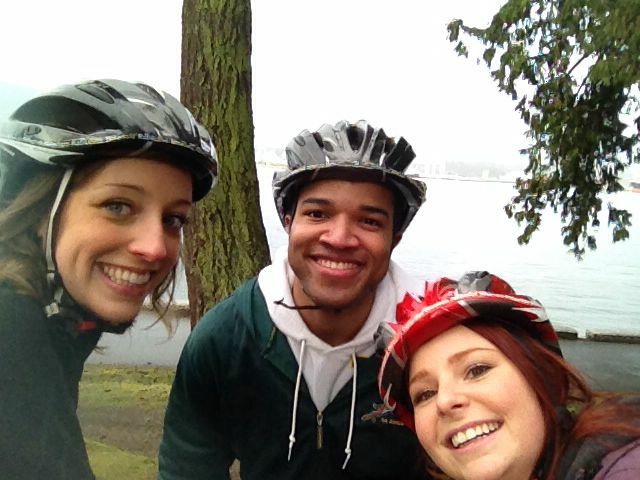 Yup, we did a whole lot in the friendly city of Vancouver. I even tried maple syrup glazed candy salmon. Not a fan. This was just the beginning of my cool stay in such a cool city. 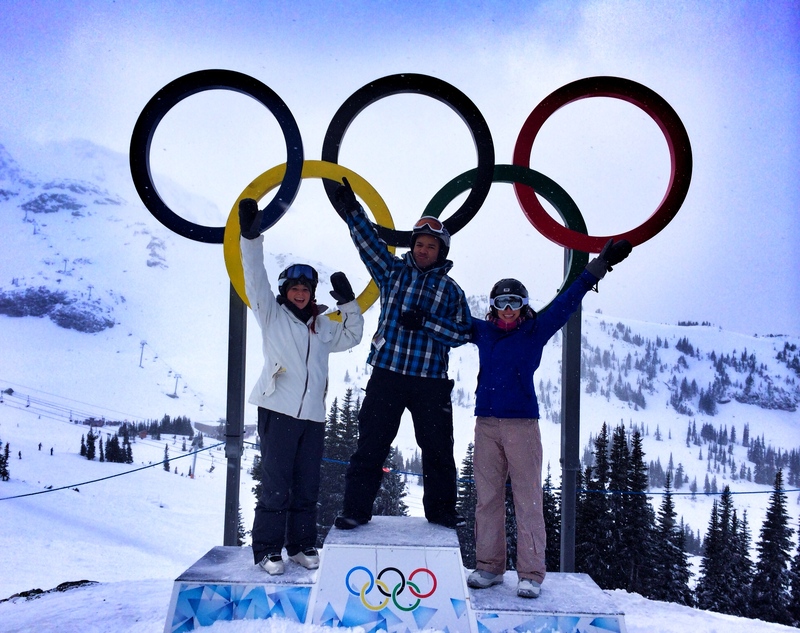 Soon, the three of us would head up north to Whistler, one of the best places to ski in North America!